Viewing topic "Sustain Pedal S90 Classic"
I recently picked up an s90 and am having an issue with the sustain pedal functioning. I had a Livewire Solutions LWS-250 pedal that I plugged straight into the sustain jack and it only works some times, just intermittently with no real pattern. After looking around this forum and an online copy of the owners manual, I decided to purchase a Yamaha FC3-A pedal. I tried plugging in the FC3-A into the sustain jack and I don’t get any sustain at all. I tried resetting the keyboard to factory settings but still nothing. The previous owner had an FC3-A pedal that I tried when I was testing it out and it worked fine then so I am scratching my head trying to figure this out. Any suggestions? Is it more than plug and play for the sustain jack? I recently picked up an s90 and am having an issue with the sustain pedal functioning. I had a Livewire Solutions LWS-250 pedal that I plugged straight into the sustain jack and it only works some times, just intermittently with no real pattern. After looking around this forum and an online copy of the owners manual, I decided to purchase a Yamaha FC3-A pedal. I tried plugging in the FC3-A into the sustain jack and I don’t get any sustain at all. I tried resetting the keyboard to factory settings but still nothing. The FC3(A) pedal is a continuous controller with a TRS (Tip-Ring-Sleeve) plug. It will function well with the S90 as a Volume pedal (for example) when plugged into the Foot Controller 1 jack. However, the S90’s Sustain jack requires a foot switch with a TS plug and proper “polarity”, such as the FC4. The previous owner had an FC3-A pedal that I tried when I was testing it out and it worked fine then so I am scratching my head trying to figure this out. Perhaps that FC3A had a rewired plug. It also might work if the plug isn’t fully inserted into the jack. Any suggestions? Is it more than plug and play for the sustain jack? It’s plug-and-play, especially after a factory reset, if the correct foot switch is used. 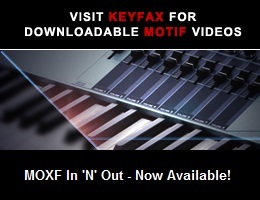 The sustain function is more sophisticated on other models (such as the Motif XS and XF). See http://www.motifator.com/index.php/support/view/half_damper_function1 for some further insight. Thank you very much for the info 5PinDin, extremely helpful. I should have done a bit more research before selecting the proper foot switch. Luckily they are relatively cheap so I will be trying that next and keeping the FC3A for as a volume switch.